In continuation of my week in ensuring my ladies stay fabulous, I would like to touch on nails today. Nails are a very important accessory!! And they say A LOT about your general cleanliness. Manicures and pedicures are a MUST bellas and with Spring approaching, it is time to get back into your hand and feet regime. A raging trend in nails right now are the minx nails. 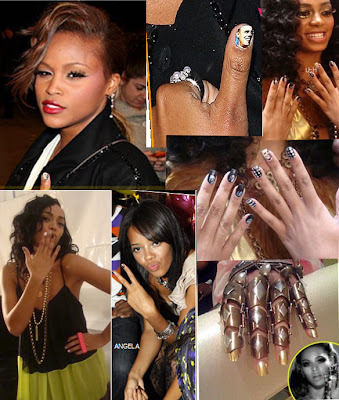 Minx are most often seen on the tips of celebrities, entertainers especially and some socialites. This is a product that is only sold to beauty industry professionals and really looks good when applied to your nails. Minx nail application does not do nearly as much damage to your nails as acrylic and gel, is equally pretty and comes in hundreds of colors and patterns. Minx nails really stand out in a crowd and look good while they are doing it. Most minx hand nail sets range from $40 - $50 in Indianapolis. Check your local nail salons for more information. OPI fingernail polish is another trend I would like to touch on for nails. OPI continues to lead the fingernail polish pack by developing high quality lasting and strong finish colors. OPI polish is one of the first products in the nail polish industry that only sold to beauty industry professionals and still maintains this rule today, which keeps their brand from becoming too prevalent. My all-time favorite OPI color is Pretty and Privileged, that makes me feel Pretty and Privileged when I wear it. OPI also is the go to brand when you need colors from any part of the color spectrum that look great and compliment your skin. 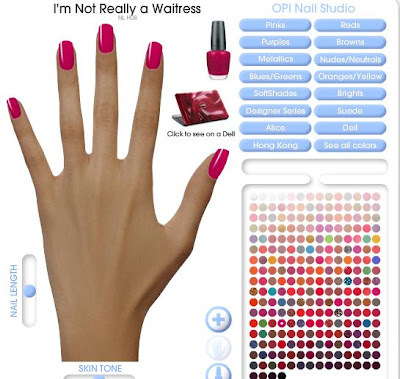 For more information on OPI click here to go to their site.